Star Trek Energetic Medicine is now here! Growing up in the television generation, as a young person I watched several weekly shows. I would not miss my favorites no matter what. Among these was Star Trek. How I longed for the days where doors would open without walking on a pressure pad. Somehow they just knew you were there. I thought it would be wonderful to have your own personal communication device that was more than just a phone; or a computer that would answer any question inquired. 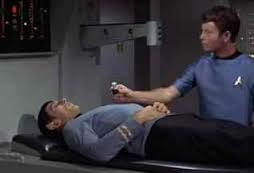 One of my favorite parts in Star Trek however is how Captain Kirk or Spock would be deathly ill and Bones would wave his trusty Tricoder over him and know just what was going on in his body. In one episode, Bones was complaining about the barbaric practices of surgery and conventional approaches to medicine before the use of the tricoder. Often I have a similar feeling when I think of the healing power and potential within the body waiting to be released. This power is frequently inhibited through the use of drugs and other toxins. We live in a world of synthetic food, synthetic vitamins, and artificial lifestyles. However, in the midst of this artificial culture is an explosion of demand for the natural. We long for balance and harmony in the rhythms of life. This balance will not be found if we ignore the energetic realities of life. Today in the emerging field of energetic medicine many of these futuristic marvels are now in practice. By adopting a wellness approach that prevents breakdowns in our health rather than a sickness approach that only reacts to symptoms, the human body’s energetic field becomes a wonderful sign-post as to where and when to address issues before they become symptomatic. Ancient cultures have said, and now modern science is proving, that everything is made of energy – including our bodies. Your “body-field” surrounds and infuses your physical body. It directs information to all cells, DNA, organs, and other systems of your body, so that they communicate and function properly. When information is distorted in your body-field there is a corresponding effect in your physical body. Detecting and affecting the Human Energy Field is evolving with many aspects. Homeopathy, for instance, is a later medical system in which health is thought to be evoked on an energetic level. Homeopathy is based on the ‘Principle of Similars’, first expressed by Samuel Hahnemann in the exhortation similia similibus curentur or ‘let likes cure likes’. It differs from conventional medicine because rather than being based chemically, it heals the body by energetically stimulating the body’s own healing energy through a vibratory field. Electrodermal Screening Devices are able to interpret clinically using a number of test and tools. Besides Kirlian photography, which picks up disturbances in the electromagnetic field generated by the body, these tools include thermography, which measures disturbances in the heat patterns of the body; and electrodermal screening devices which detect interference fields in the body. Reinhod Voll, M.D., created one of the first devices in the 1950s. Dr Voll developed a system called ElectroAcupuncture by Voll (EAV). Today many devices use this foundation to evaluate the energy flow through acupuncture meridians. These electrodermal screening devices are used for determining which remedies the patient needs and which materials are compatible with the body. The ASYRA PRO, Bio-Meridian, Bio-Feedback and Vega devices are among these. 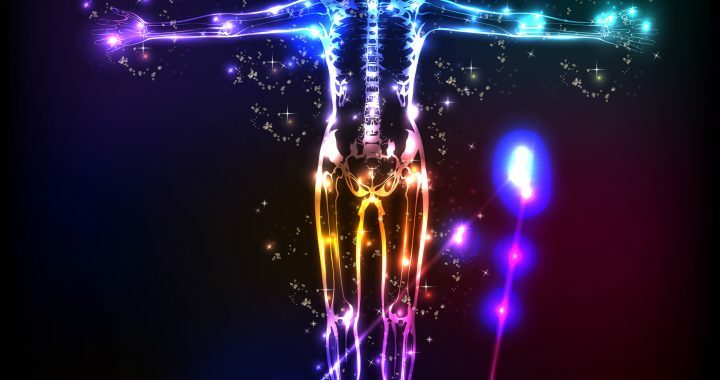 A paradigm leap ahead of all this came when Peter Fraser and Harry Massey in 2003 developed the Nutrienergetic Systems (NES) which is the first device able to read and map the human body field on the quantum level. Previous devises only measured disturbances through meridians while NES is able to evaluate not only the flow of energy through meridians, but the creation of that energy from your organs, distortions in the quantum energy field, how your energy field is in harmony with the earth’s energy field. NES even can determine which toxins have affected you and where you are sensitive. Recently, we have added the NES miHealth device. 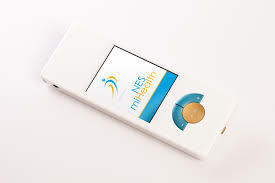 The NES miHealth is a powerful hand-held device (Like Bone’s Tri-Quarter) that is non-invasive and effective for releasing energy blockages, as well as for addressing your common complaints. You can look at miHealth as it was featured onTHE DOCTORS TV show. Where the NES device and miHealth are most like Dr McCoy’s Tricoder is that unlike other devices, which can take up to an hour to produce a usable assessment, NES analyzes your body-field and identifies your distortions, weaknesses and problems immediately. NES displays structural damage done to the energetic body field. This damage can come from geopathic stress, ionic and earth’s magnetic fields, weak organs and bodily systems, toxins, shock, trauma, and micro-organisms. One of the main reasons our naturopathic office has decided to use NES is the power of Nutri-Energetics’ Infoceutical remedies. These are able to correct imbalances which reflect damage done to the body-field. They strengthen major organ function and open up correct energy flow. Many thousands of people from around the word have reported significantly positive changes through NES therapy including: Improved health, restful sleep, more energy, improved digestion, improved skin conditions, reduced pain and discomfort, mental clarity, calmer emotions, tolerance to stress. When you combine energetic therapy with a sound nutritional foundation you release the power of your own body’s healing ability. Indeed, you will experience a whole new level of wellness!